John Mulvey was as born in Cincinnati, Ohio. In 1988 he received his degree in finance from Xavier University located in Cincinnati, Ohio. 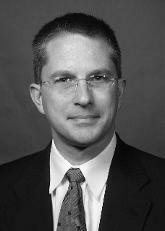 John graduated from the Salmon P. Chase, College of Law in 1994. He is admitted to practice law in Ohio, Kentucky, the United States District Court for the Southern District of Ohio and the Eastern District of Kentucky. Memberships include: Ohio State Bar Association; Kentucky Bar Association; Cincinnati Bar Association; The Ohio Association for Justice; Southwest Ohio Trial Lawyers Association; and the Greater Cincinnati Criminal Defense Lawyers Association. The focus of practice is in the areas of civil litigation and criminal defense.